This is an ultra-robust professional diving watch thanks to its monobloc construction with a uni-directional engraved rotating bezel along with its hours minutes and seconds function, as well as being watertight to 300 metres. 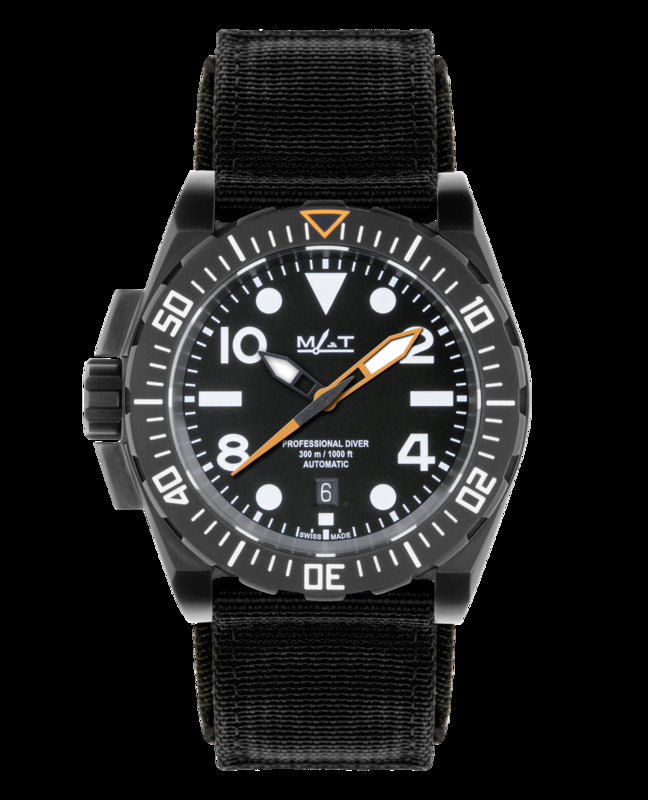 The dial’s hands and indexes have been treated with Super Luminova material in order to ensure optimum visibility in an aquatic environment or at night. 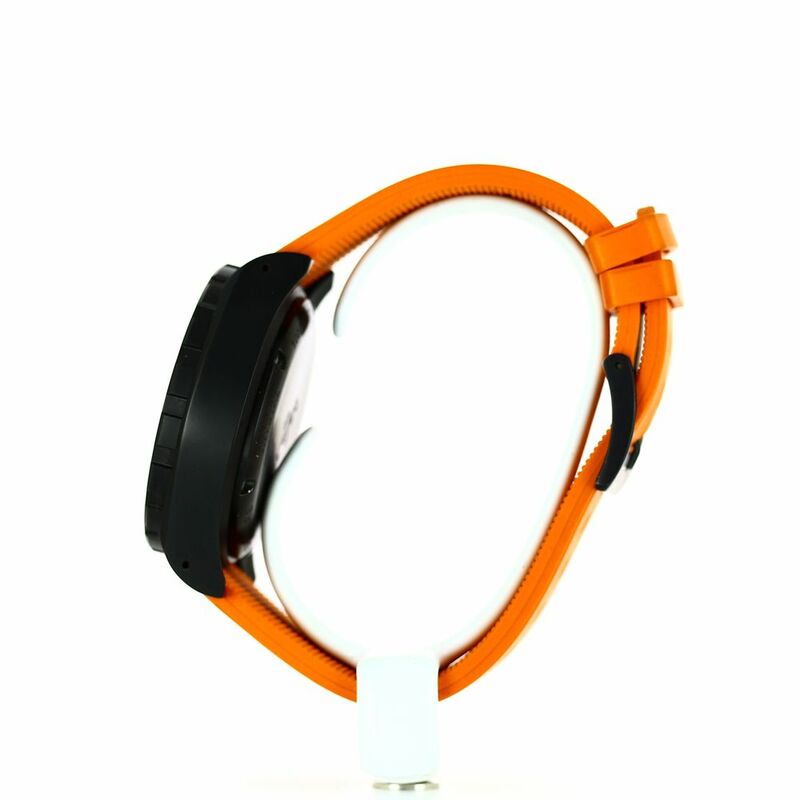 The crown is inverted for greater comfort during sporting activities. 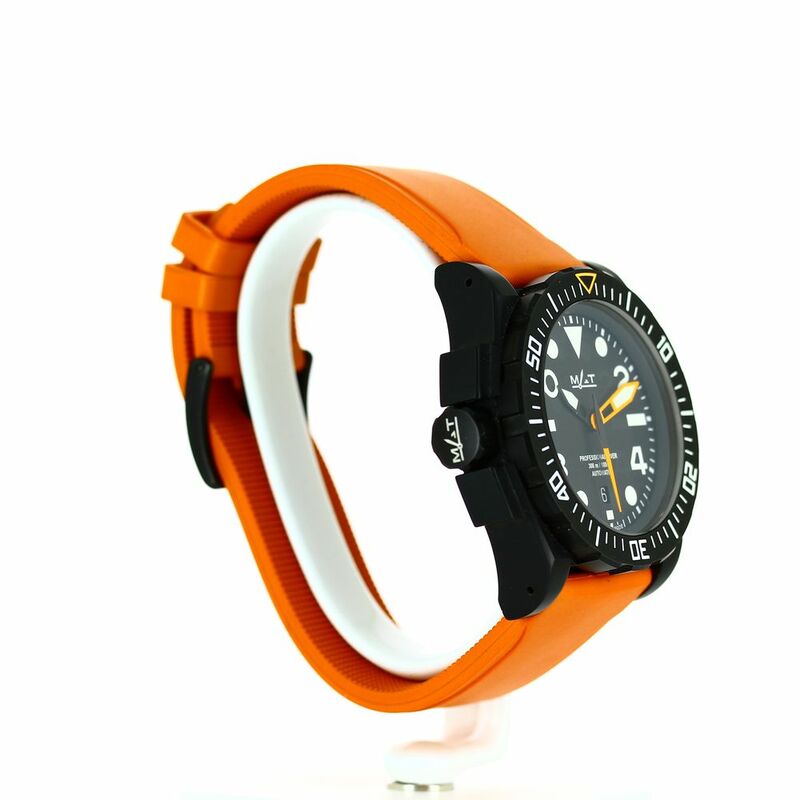 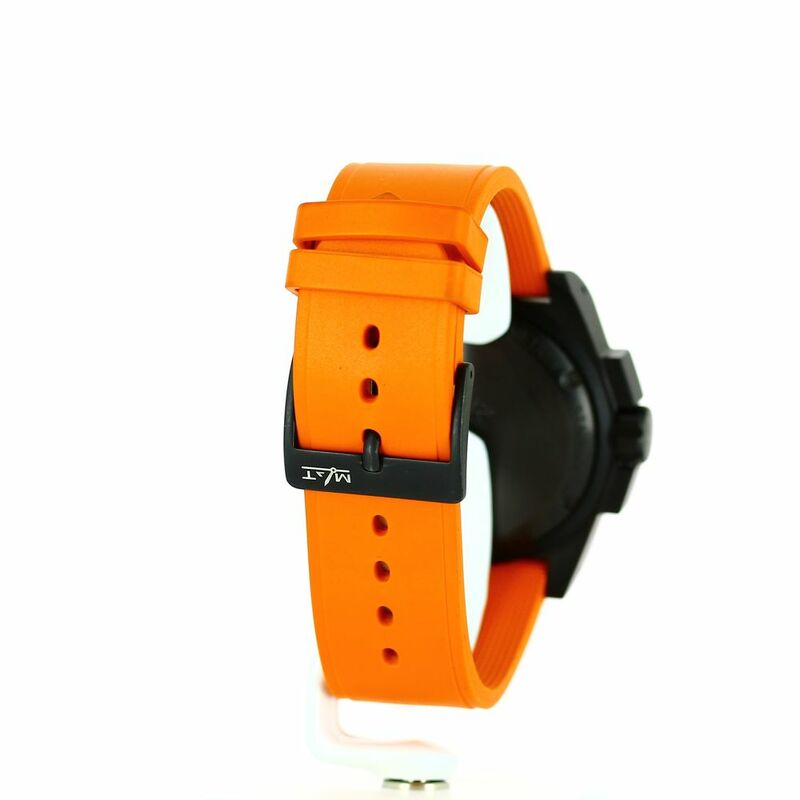 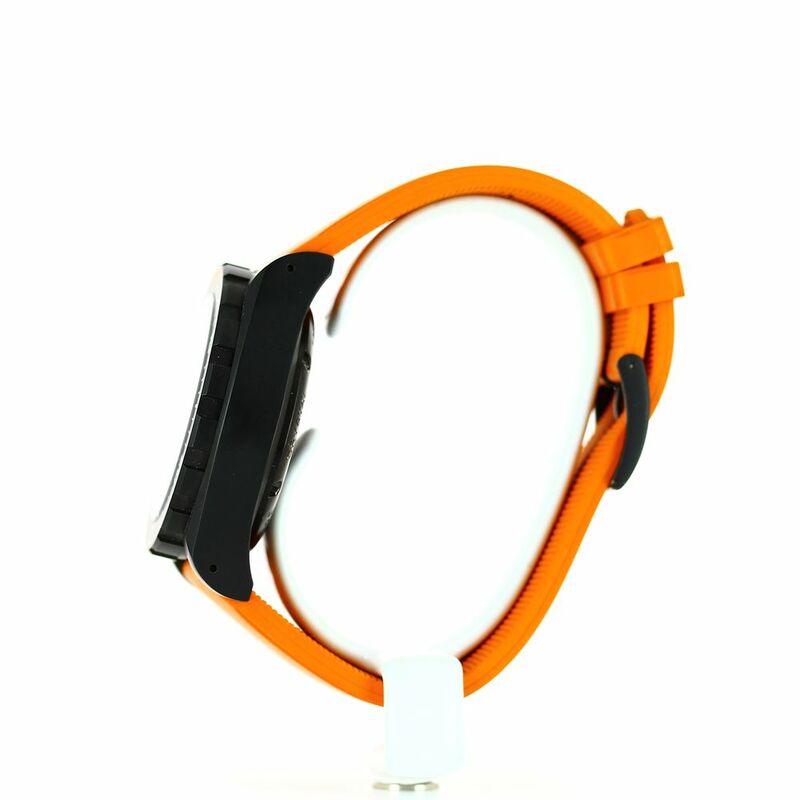 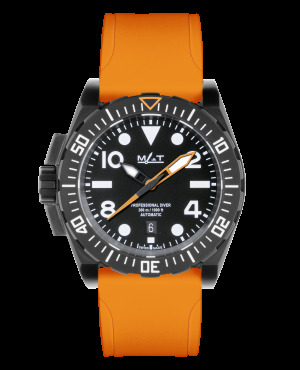 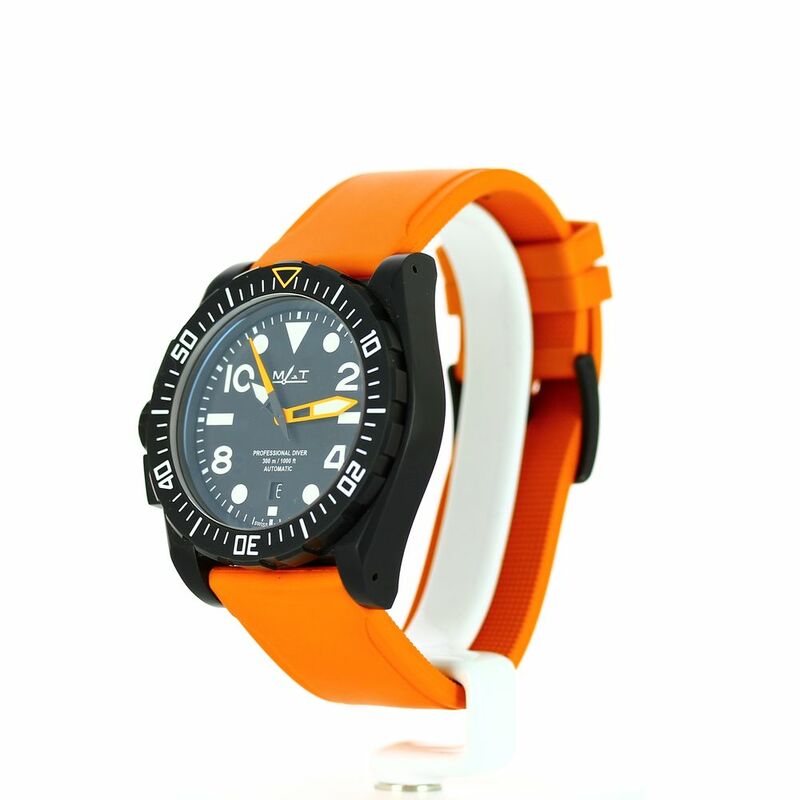 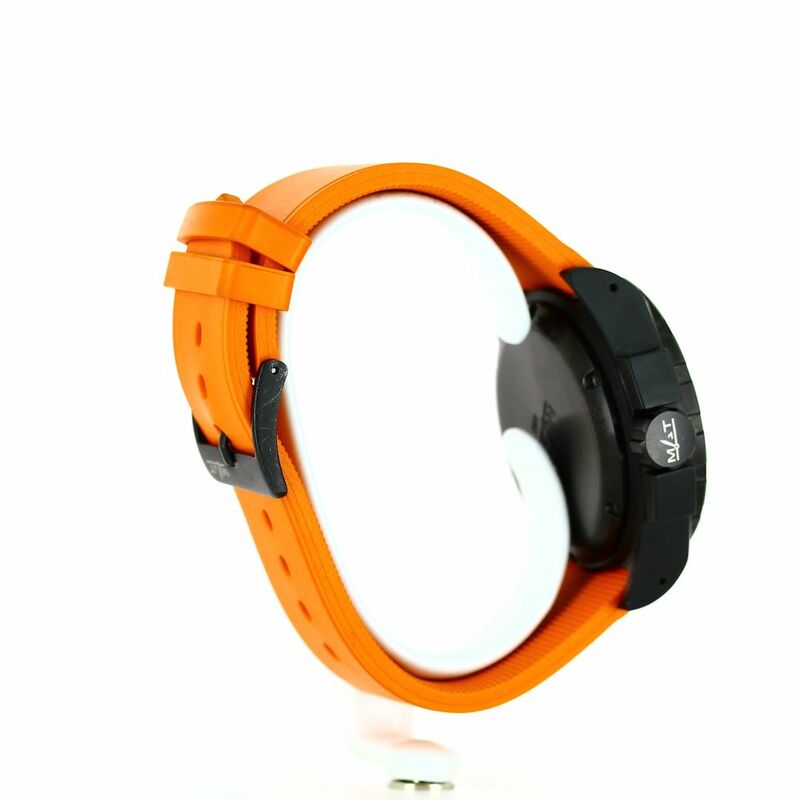 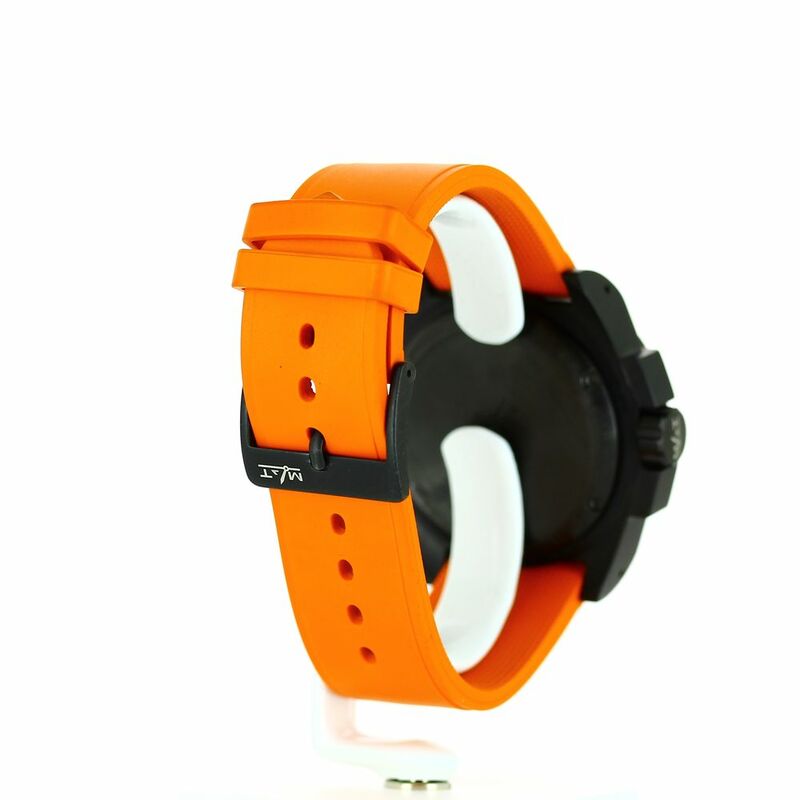 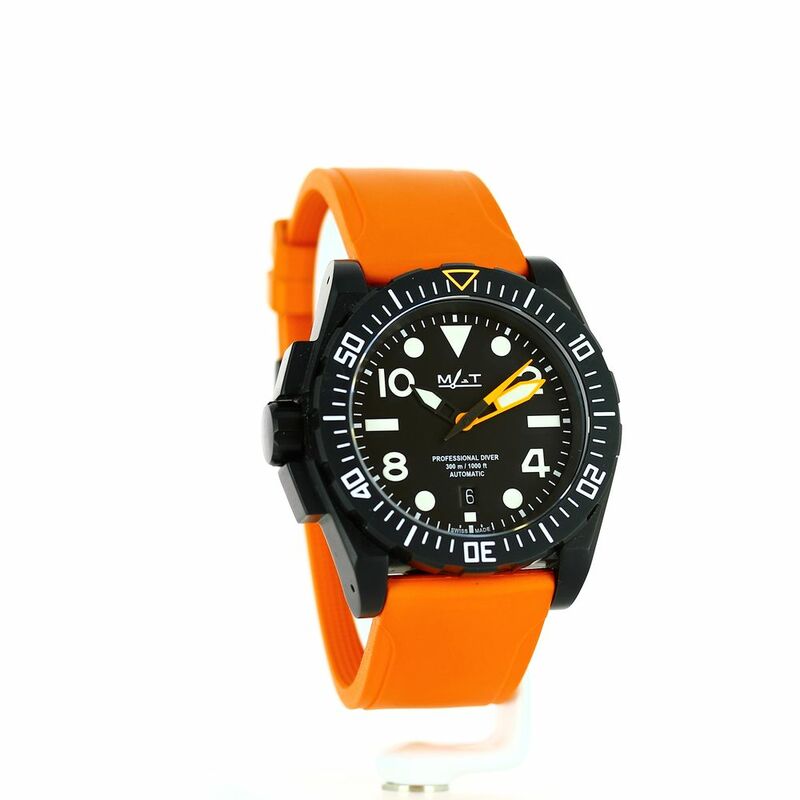 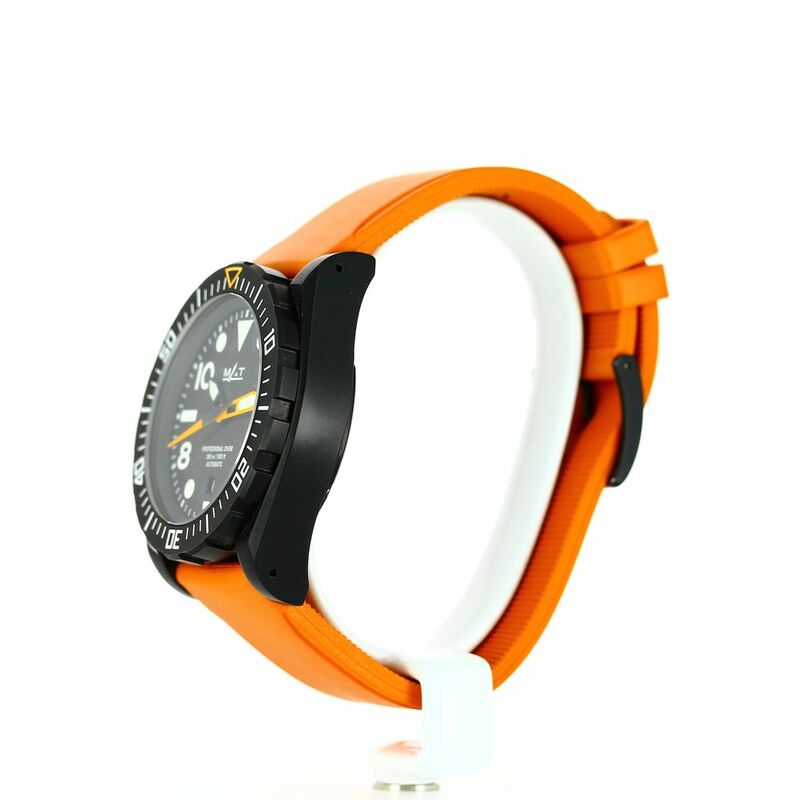 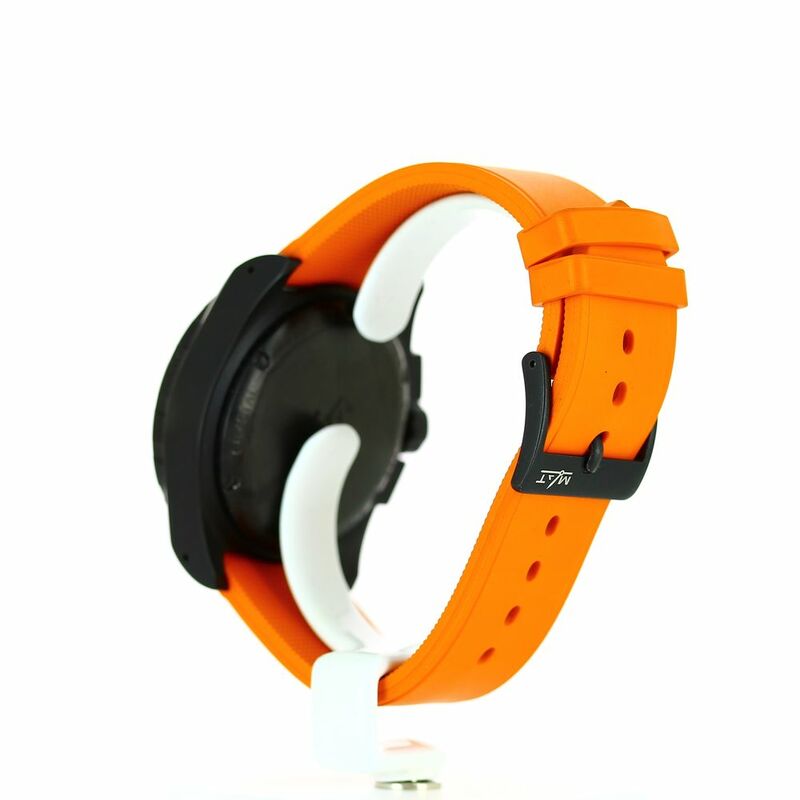 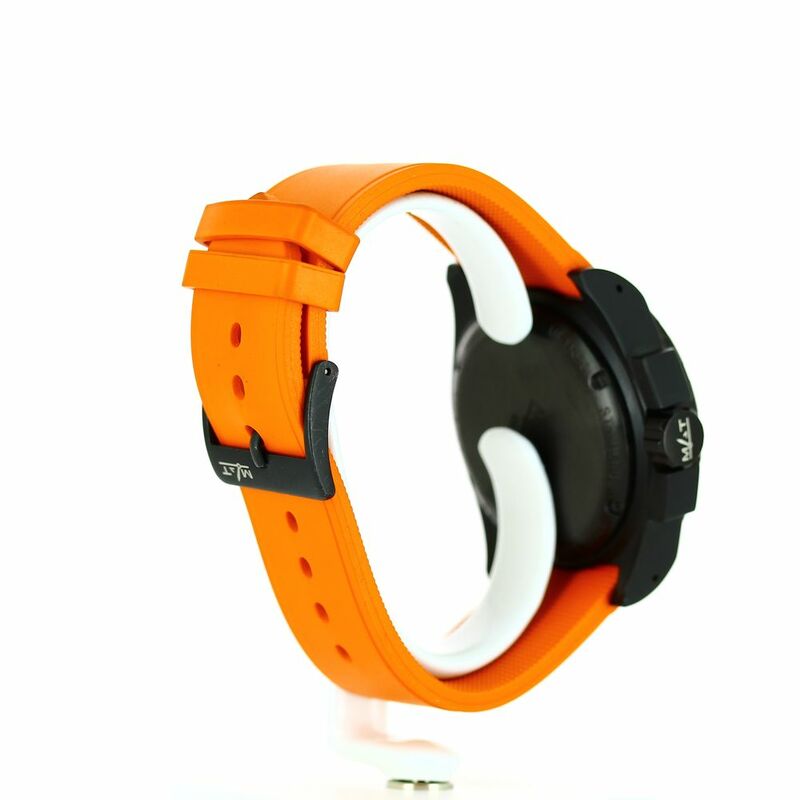 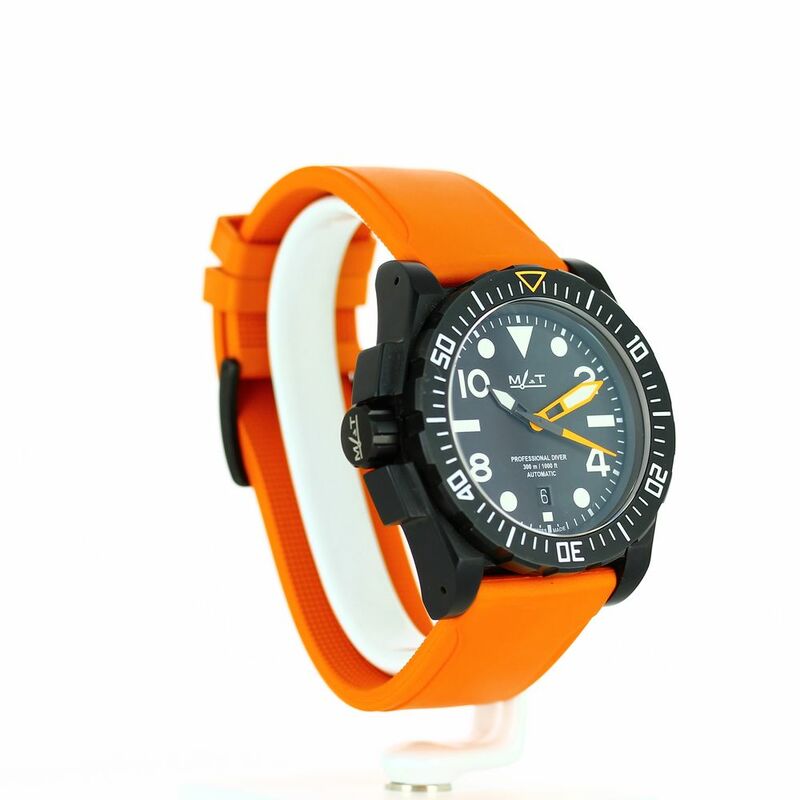 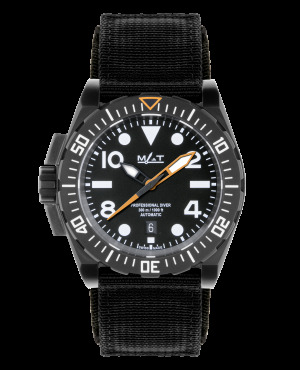 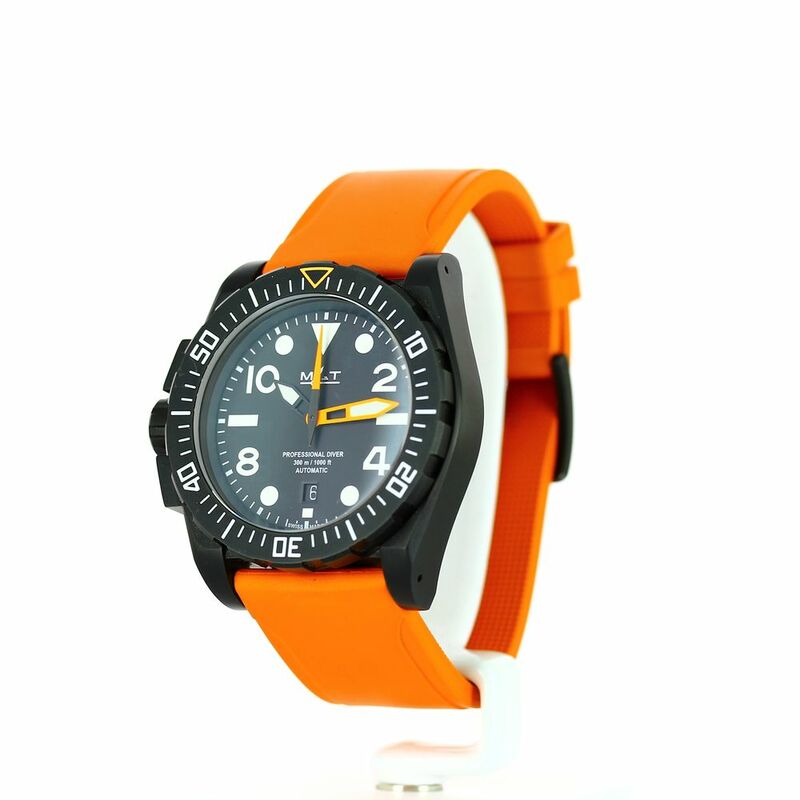 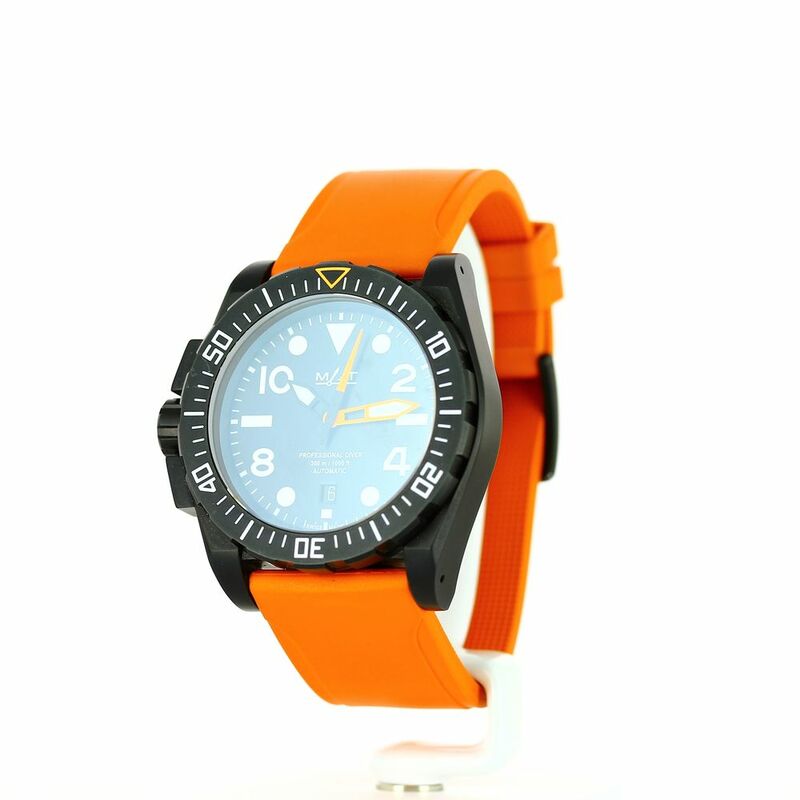 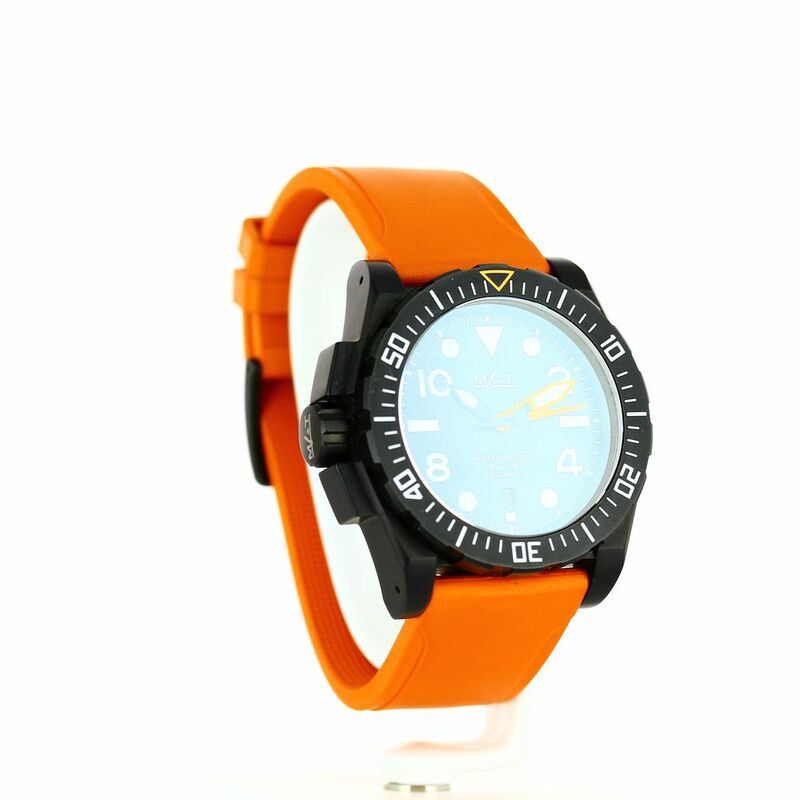 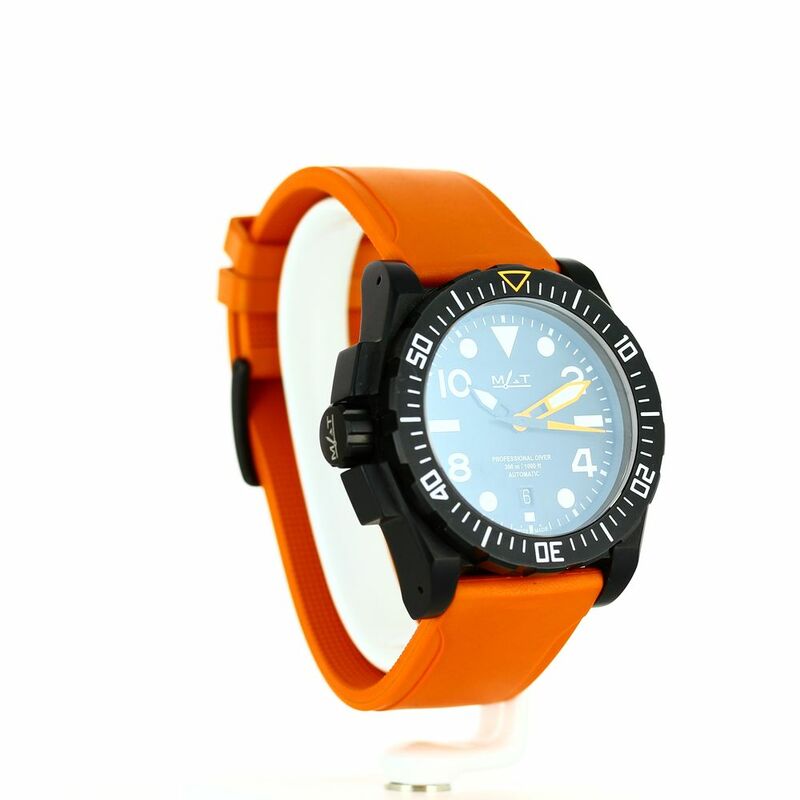 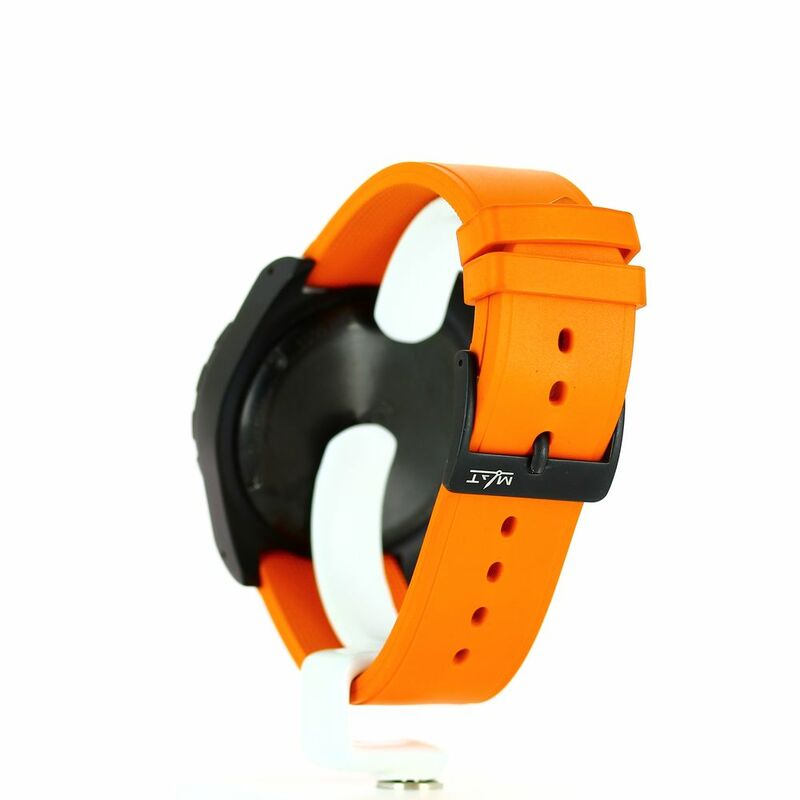 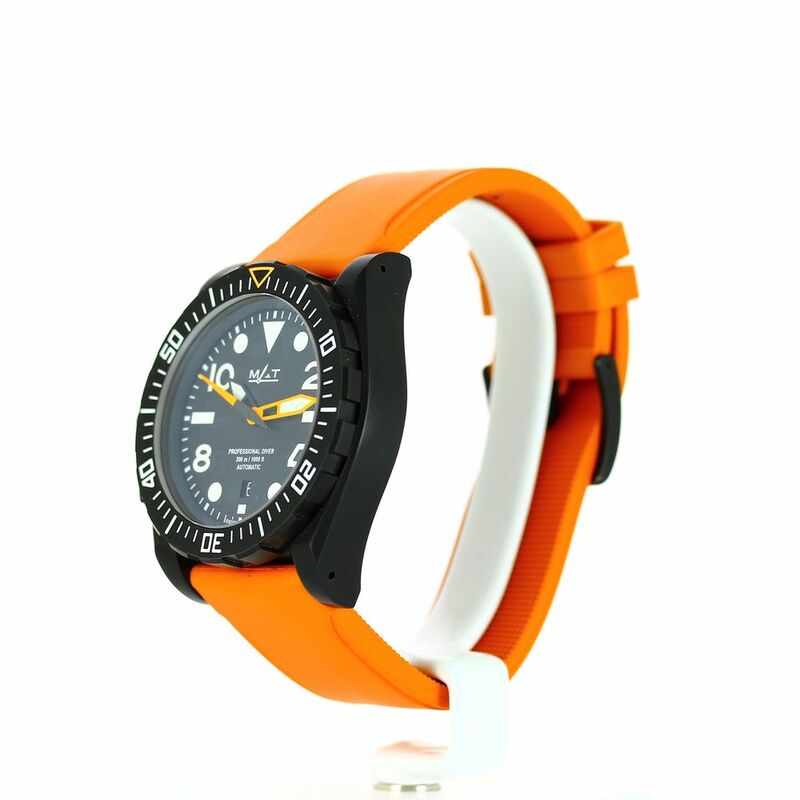 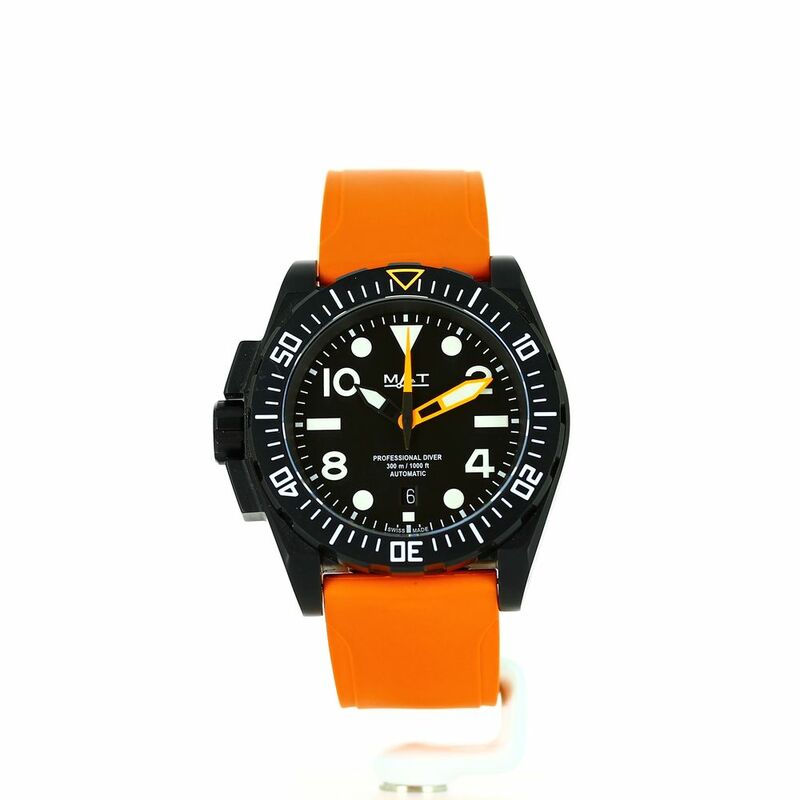 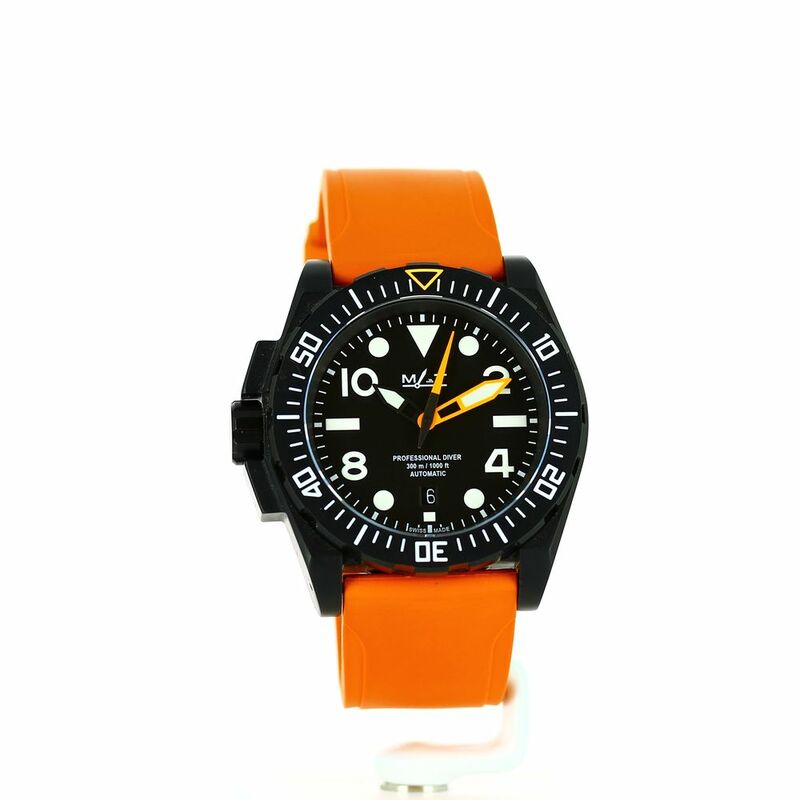 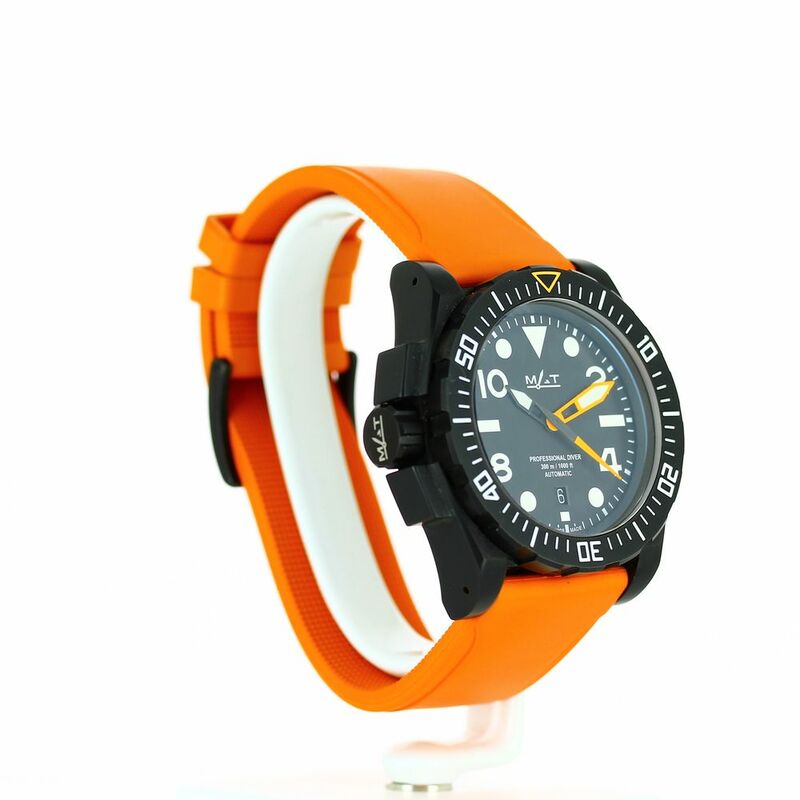 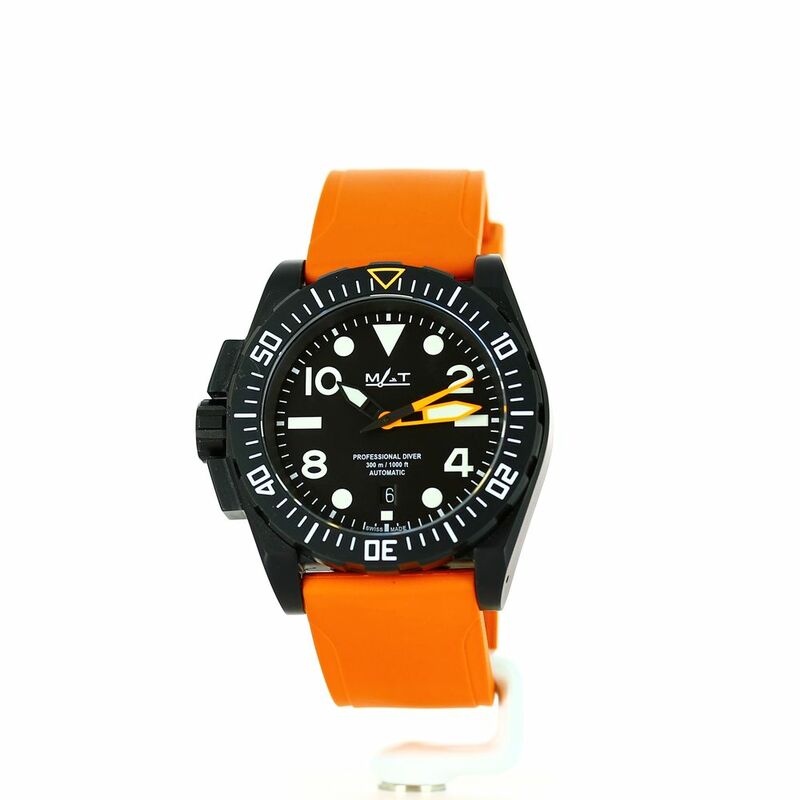 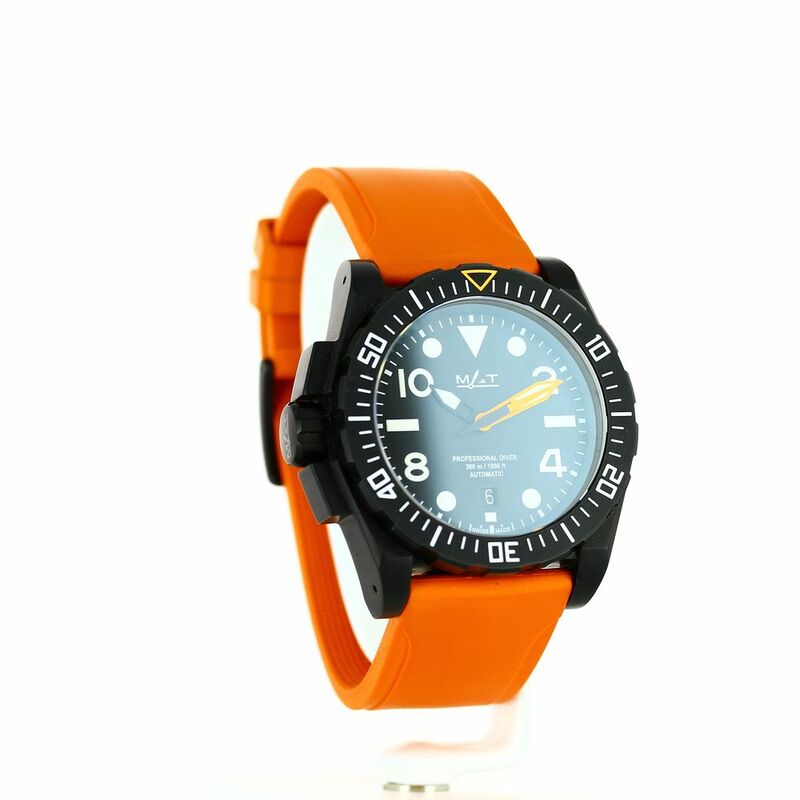 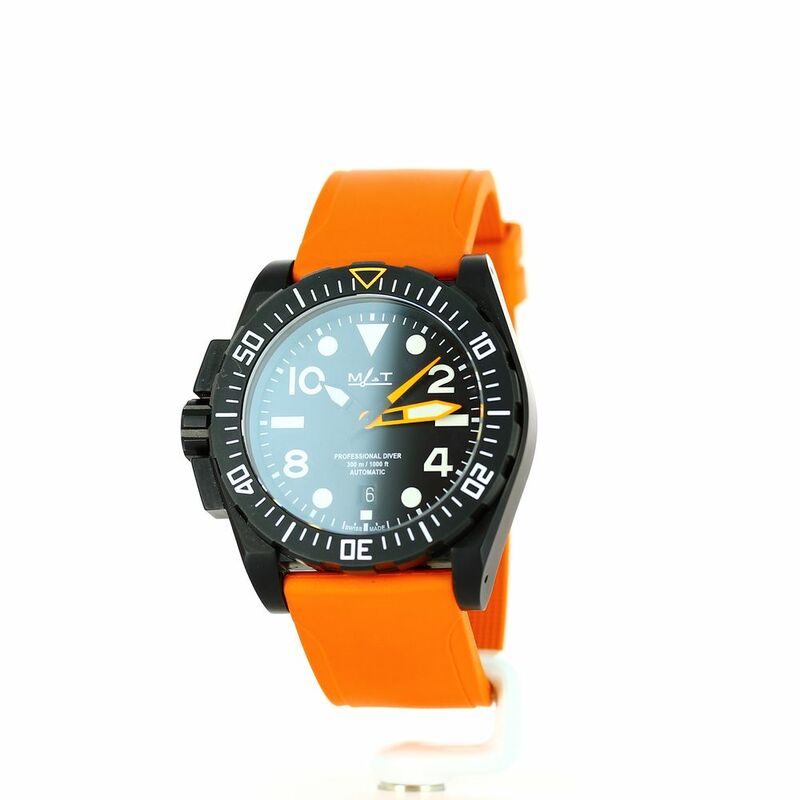 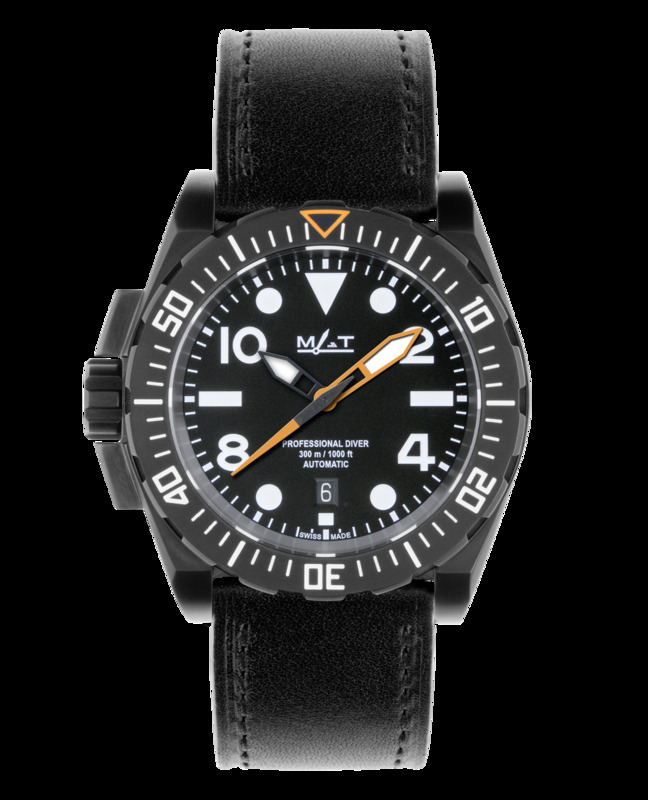 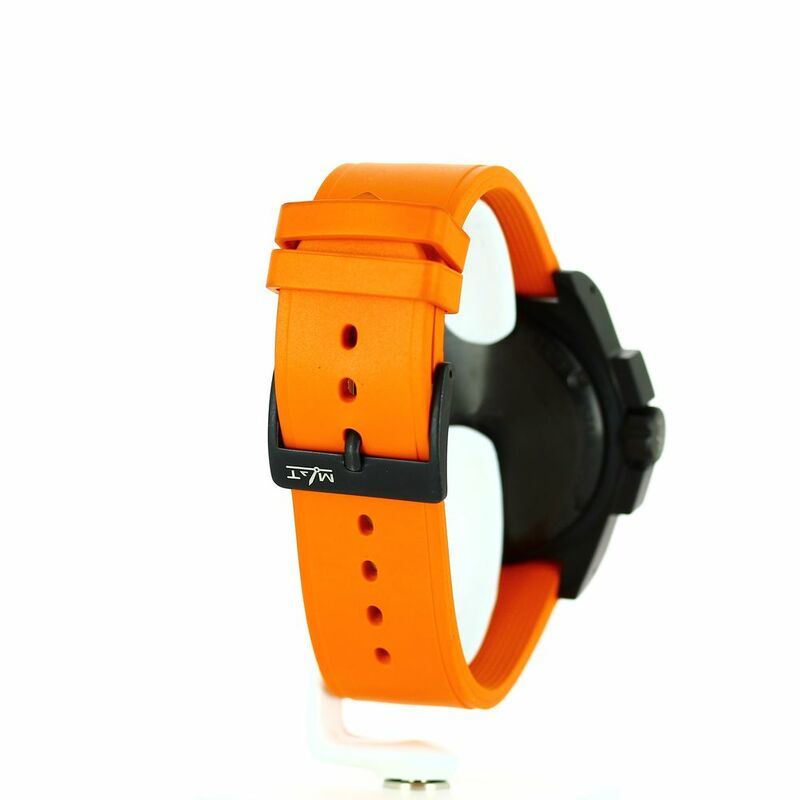 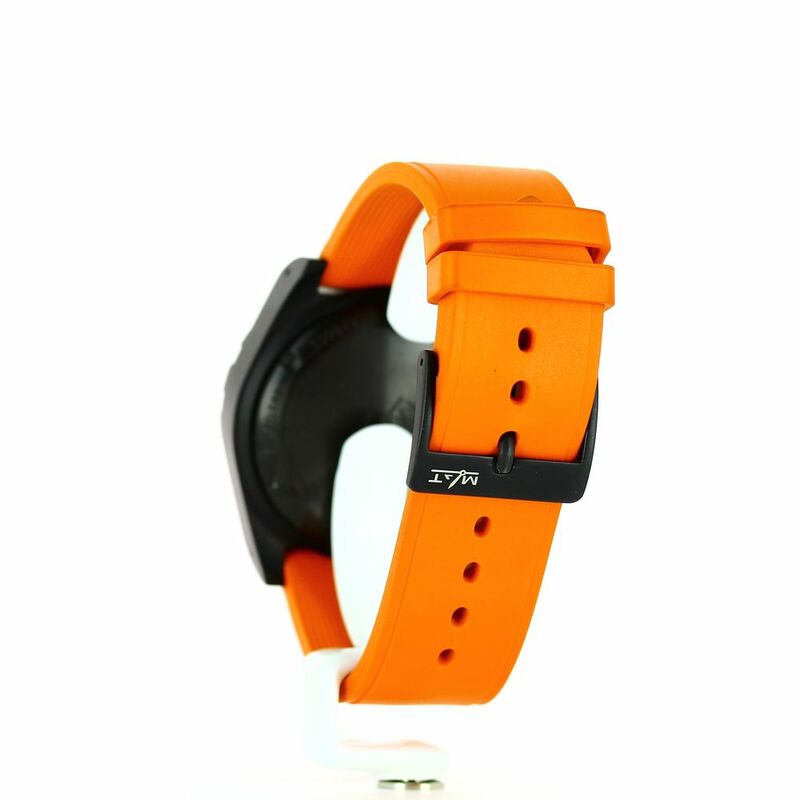 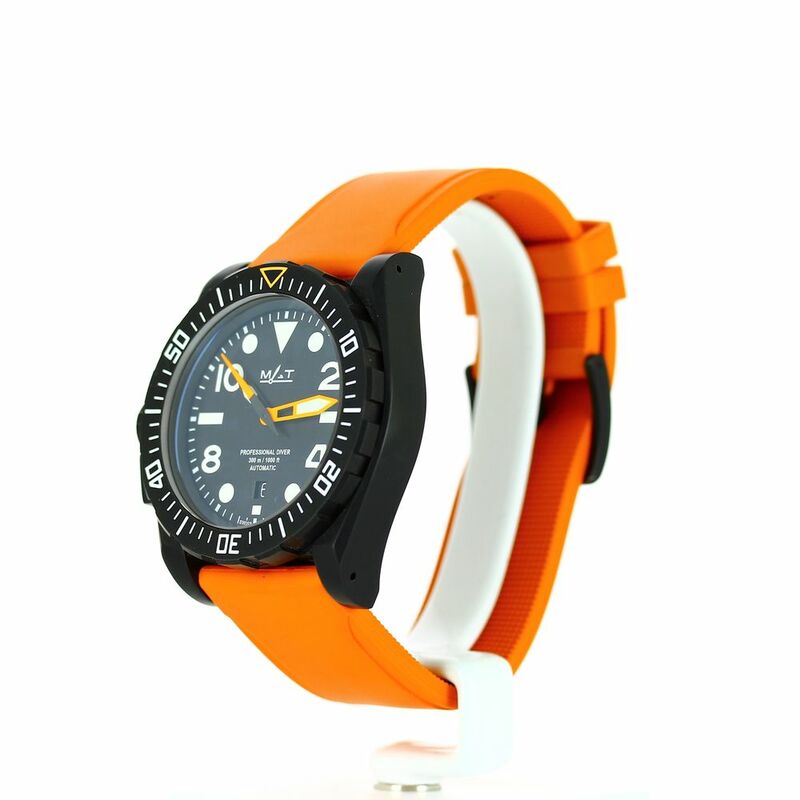 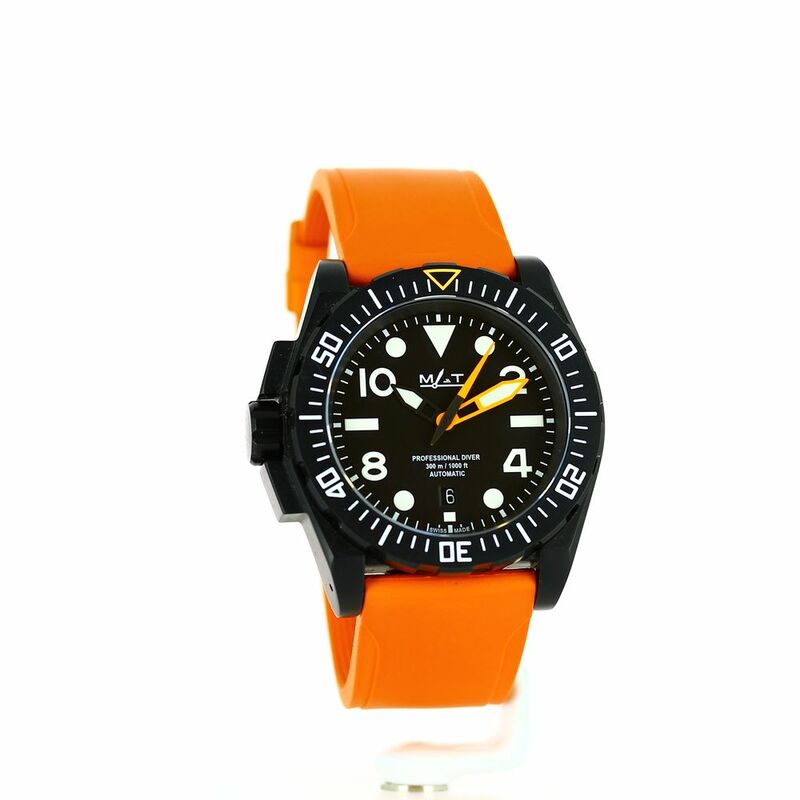 Delivered with 3 interchangeable straps: 1 black vegetal tanning leather, 1 black tactical strap, and 1 orange rubber band.